What Are Housing Starts, and Why Should Home Buyers Care? What exactly are housing starts? This term, so often thrown around by housing policy wonks and quoted in dense financial reports, refers to the number of new homes on which builders have started construction in any particular month. The latest figures can be found in the U.S. Census Bureau’s monthly New Residential Construction Report (along with the number of building permits granted and residences completed), and are widely regarded as a key indicator of our nation’s economic health. But if you’re not a financial adviser or high-end investor, why should you care, exactly? Because they directly affect regular home buyers. Here are some things you need to know about housing starts, including how they’re doing, what the data mean, and how this might affect your own efforts to buy a home. What do housing starts really tell us, anyhow? 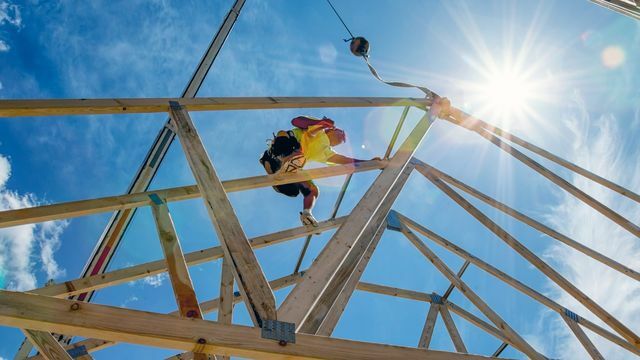 Housing starts reflect the strength of the U.S. economy since, simply put, new construction signals more jobs, higher salaries, and an abundance of loans to fund businesses and other endeavors. For context: In 2005, when the economy was thriving, housing starts peaked at 2.068 million units. In 2009, during the depths of the Great Recession, housing starts bottomed out at 554,000 units. Since then, housing starts have crept upward every year to total 1.226 million units in 2016, more than double what they had been seven years earlier. 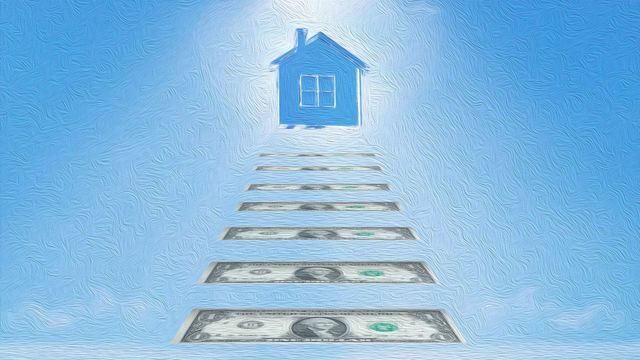 For 2017, “we’re relatively optimistic,” says Andres Carbacho-Burgos, a senior economist at Moody’s Analytics who studies the U.S. housing market. “By end of 2017, we expect housing starts to be closer to 1.7 million,” or a 10% increase over a year earlier. Although housing starts data are released around the 17th of every month, experts warn against reading too much into month-to-month fluctuations, because housing starts are closely tied to … the weather. After all, building houses is far easier when Mother Nature cooperates. As a result, housing starts follow a seasonal pattern, tending to rise in the spring, peak in the summer, ebb in the fall, and drop to their lowest levels during the winter. This is why analyses typically compare any particular month’s housing starts to the same month a year earlier, rather than to the month before. What do housing starts mean for home buyers? A rise in housing starts is good news for home buyers, particularly for the one-third who say they want to buy a brand-new home. For those folks, they’ll have more options to pick from, and odds are they’ll be at lower prices, too. People looking to buy existing (or previously lived-in) homes benefit from healthy housing starts, too, points out Danielle Hale, managing director of housing research at the National Association of Realtors®. The reason: A high number of houses, both new and old, drives down prices for all residences, not just the shiny new ones. This should also be a welcome relief to many home buyers, because the supply of homes for sale is currently at a 20-year low nationwide, which has pushed home prices higher over the past few years. Now, finally, housing starts data suggest that home prices will level off, or even drop in some markets. At least, that’s the hope. Although housing starts are seeing modest growth, homebuilders are being held back by a variety of problems. Many blame lack of labor, a problem that originated in the late 2000s when massive numbers of construction workers were laid off in the wake of the housing bust. Since then, the demand for construction workers has bounced back, but many aren’t answering the call, having turned to other industries (like landscaping), according to the Wall Street Journal. “There aren’t enough construction workers to keep up,” says Robert Dietz, chief economist at the National Association of Home Builders. In fact, a recent report by the NAHB found that there are approximately 200,000 unfilled construction jobs in the U.S., a jump of 81% over the previous two years. Another problem holding back builders is permits. Bradley Gaskins, an official at the American Institute of Architects, recently told the Journal that the group’s members are seeing permit approvals take longer—for instance, stretching to six to eight months in hot markets such as Florida and California, compared with the typical two to three months. Builders are also grappling with the rising cost of materials. Currently, the U.S. government is considering a 20% tariff on Canadian lumber imports, and since Canadian imports represent about 28% of all softwood lumber purchased in the U.S., the NAHB warns the tariff could increase the price of an average single-family home by $1,236. In fact, just the anticipation of the tariff has pushed up lumber prices by about 22% since the start of this year. The upshot? “If you’re buying new construction, you may need to pay more money than you would have a few years ago,” says Dietz. However, keep in mind that “housing starts describe the state of the home construction market in broad strokes,” says Hale. In other words, not all areas and markets will feel the same effects. “Housing starts could be concentrated mainly on high-end homes, which would mean that only the upper tier of the housing market would be affected,” Carbacho-Burgos explains. Geography also plays a role. According to Carbacho-Burgos, housing starts are particularly strong in large metro areas in the South (think Charlotte, NC; Nashville, TN; or Austin, TX), meaning that home buyers who want a wide selection of new homes or low prices may want to consider moving to those areas. 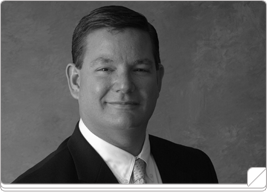 “At the end of the day, all real estate is local,” says Dietz. So be sure to research your particular area using online tools like realtor.com/local, where you can find out the average home sales price and other info that will help guide your search. We know, we know. You raced to the post office just in time to meet the deadline to send your tax forms to the IRS, bemoaning those receipts you just couldn’t find anywhere and cursing your procrastination which led to the last-minute crush again. So while you still have taxes on your mind, why not prepare ahead so you’re sitting pretty by the time you file in 2018? Here’s a roundup of homeowner tax breaks you should prep now, so you can take full advantage of them next year and avoid the last-minute scramble. 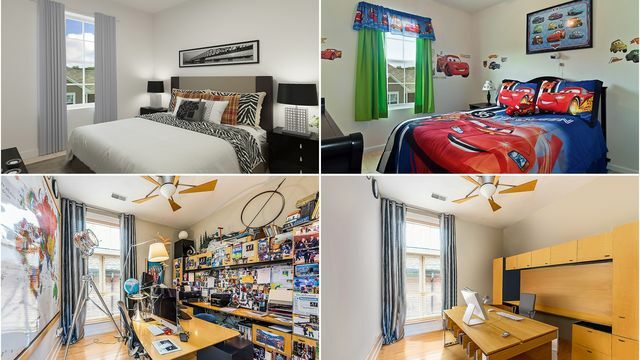 If you’re working on a La-Z-Boy in the living room, it might be time to clear out the guest room and assemble that Ikea desk. That way, you can take the home office tax deduction in 2017. The “simple method” allows you to take $5 per square foot for a total of $1,500. You could also go for a more complicated deduction: a percentage of your home’s electric bills and other expenses. Keep in mind that you have to use the room “regularly and exclusively” for business, says Dave Du Val, a tax expert and chief customer advocacy officer at TaxAudit.com. If you’re an employee, the office must be for the convenience of the employer (e.g., you’re a salesperson in New York for a company whose only office is in California). Last but not least, you’ll need to tabulate your expenses as you make them in 2017, so keep a logbook and save those receipts. Is 2017 the year you want to finally do that kitchen remodel or bathroom addition, but money still feels too tight? Then you might want to consider taking out a home equity line of credit, or HELOC. The interest on a loan up to $100,000 is tax-deductible, says Du Val. That means those upgrades just got a whole lot cheaper. Alas, the clock ran out on most tax credits available to homeowners who went green at the end of 2016. 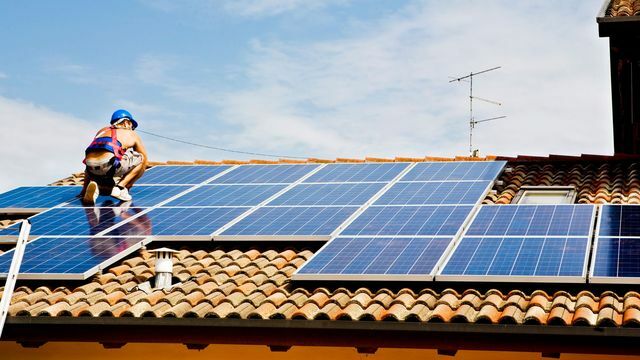 However, there is one remaining energy-efficiency credit still available to homeowners: solar energy. “You can take a credit of up to 30%, with no cap, on the equipment and installation costs of solar energy panels and solar water heaters you purchase in 2017,” says Jacob Dayan, partner and co-founder of CommunityTax.com. There’s good reason to go solar this year in particular. In addition to this major credit being set to reduce to 0% over the next five years, the president can easily eighty-six the credit entirely before the Dec. 31, 2021, expiration date by signing a bill into law. Just keep in mind that to qualify, the equipment must be used to generate power or heat water in your primary or second home. It can’t be used for a swimming pool or spa. Got a big tax bill coming in 2017? One way to offset that is to prepay your property taxes in order to reduce your tax burden. How would it work? Say you receive a tax notice in December 2017 with a due date of Jan. 31, 2018. You could go ahead and pay it in December if you want to deduct the amount from your current year’s income instead. This move is best for those who expect their income and tax burden to be higher in 2017 than in 2018. “If you’re expecting the opposite, then you should defer the tax payment until after Dec. 31 so you can deduct it the following year,” says Du Val. All homeowners should keep a detailed record of improvements to their homes. These improvements—like a new roof, new furnace, or bathroom addition—increase a home’s value. When it comes time to sell, the amount you spent on improvements or renovations can seriously reduce the capital gains taxes you’ll pay, according to Du Val. If you plan to buy a new home in 2017 or refinance the loan on the place you’re in already, this is an opportunity to save on taxes in terms of points. Also known as a loan origination fee, loan discount, or discount point, it is basically prepaid interest that persuades lenders to give you a lower interest rate on the loan. There are tax benefits, too: You can deduct those points for the same year you buy a home. If you refinance, you can deduct them over the life of your new loan. Either way, it’s a good thing. Many home sellers have heard of home staging—a service where professionals arrange furniture and artwork in rooms to make them look their best (and entice buyers to make an offer). But now, thanks to technology, there’s another option that doesn’t involve shifting heavy furniture around your home: virtual staging. 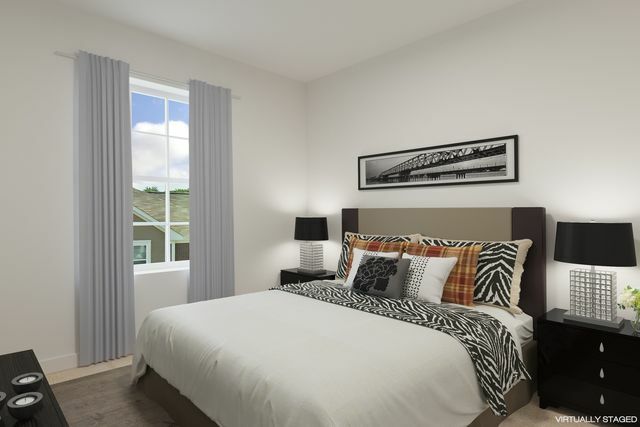 So just what is virtual staging and how does it work? It’s where home stagers take digital photos of empty (or badly furnished) rooms, then use photo-editing software to add pretty couches, tables, and other furnishings. 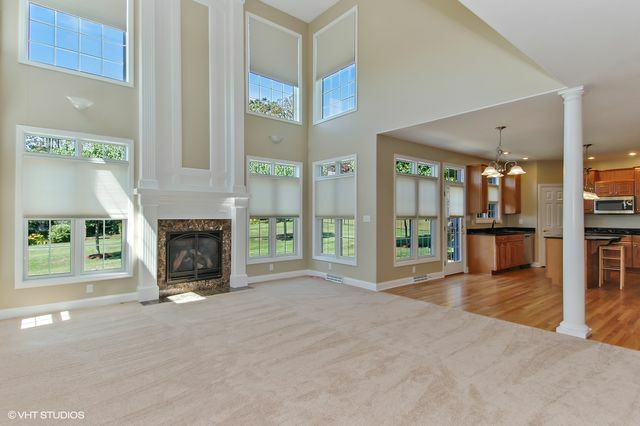 Virtual staging first became popular during the Great Recession, since it helped banks and other homeowners make barren, run-down houses look presentable quickly, and on the cheap. “It helped people visualize what could be there,” says Brian Balduf, chief executive of VHT Studios, a virtual staging company in Rosemont, IL. Virtual staging costs around $100 per room—far less than traditional staging, which will run homeowners around $2,000 to $2,400. Another benefit to virtual staging is its versatility. While a traditional stager can do only one look for a room at a time, a virtual stager can pull off plenty of different home decor styles to appeal to various buyers. 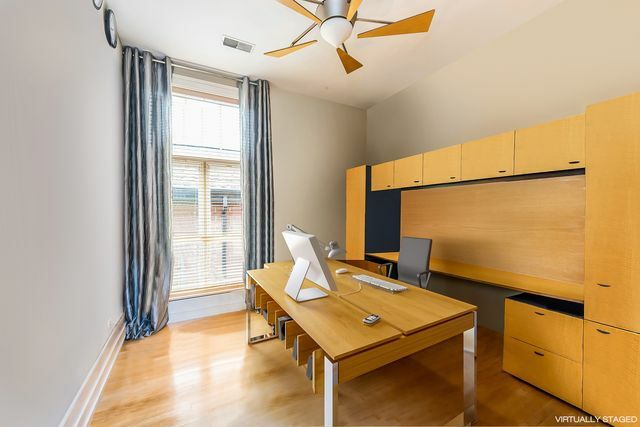 Virtual staging also allows a room to be converted for different uses—such as a child’s bedroom with toys and bright colors for a family, or a study with office furniture for an older couple. It can also help eliminate items that might turn off certain buyers, like fur coats in a walk-in closet. Exterior virtual staging is also a growing field, showing how a house looks by day or night, or surrounded by lush greenery in the summer versus under a soft layer of snow in the winter. 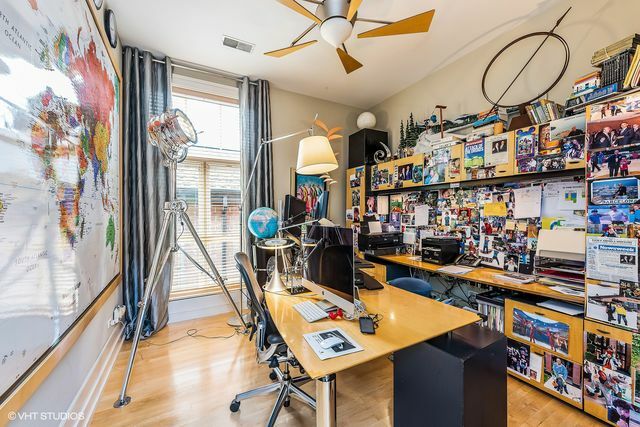 Balduf also notes that virtual staging can help reluctant buyers put their home on the market, if they’re holding back because they haven’t painted the house yet or cleaned out a garage filled with junk. “It’s a nudge to the seller that makes it easier,” he says. Last but not least, virtual staging can benefit sellers by eliminating privacy concerns. If you have family photographs on the walls or other items that might reveal personal information (like college pennants), you can keep them up, then just have them erased in your photos. All in all, that’s far easier than having strangers tramping through your house, hoisting in new furniture, and taking out what you’ve got. But isn’t it wrong to doctor photos? However, virtual staging does raise concerns about false advertising, so it’s helpful to be aware of certain ethical boundaries. While virtual stagers can swap out furniture or remove garbage cans from an exterior shot, most say they won’t ever remove something permanent from a photo, such as a water tower or a high-tension electrical pylon. “Removing a water tower crosses a line,” says Balduf, who says he often has to caution agents and sellers on this issue. Still, he says adding a fire in a working fireplace or greening up grass is acceptable in virtual staging. When in doubt, just note in your listing that the photos have been virtually enhanced and ask your real estate agent to give buyers a heads-up that it won’t look the same in reality. That way, sellers will know that’s how the home could look—and they’ll have a blueprint for how to make it so. 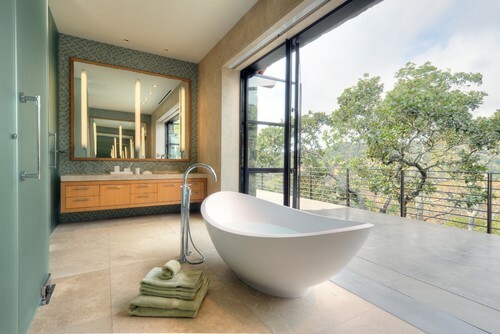 Homeowners love their bathrooms. We totally get it—you spend a decent amount of time in there, and you want it to be the ultimate Zen oasis. And since potential buyers want that, too, you’re likely willing to splurge to make your lavatory lush and plush. But one person’s lush can be another’s flush—as in flush away that weird or ugly bathroom decor before it drives you insane, or would-be buyers straight to another home. 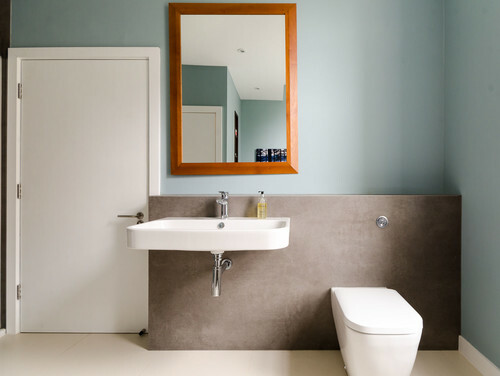 No matter how lavish you think your loo is, beware of the design trends that will simply make buyers turn up their noses. And your bathroom doesn’t have to be a lime-green, laminate horror show to turn off buyers; there are some more subtle design trends that can also cause buyers to take a pass. So before you take the plunge, assess these seven trends that design experts and home buyers would like to flush from the bathroom right now. Stark white kitchens and baths have been a huge trend over the years, but their time in the spotlight is mercifully coming to an end, reports Tonya Bruin, CEO of To Do–Done Handyman Services. The problem? 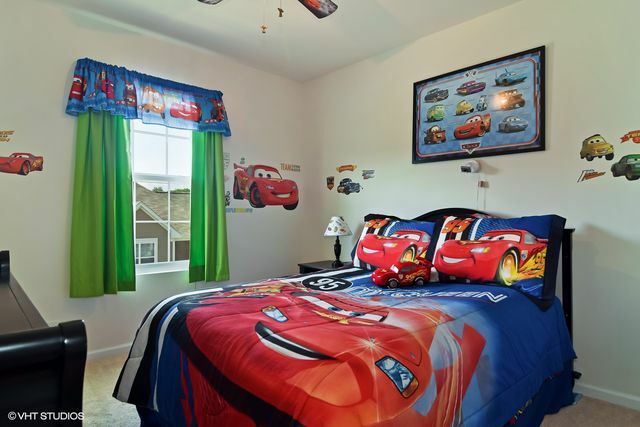 Homeowners are finding it’s impossible to keep this room clean. “White tile and flooring can stain very easily, and any little mark glares at you from across the room, tainting the crisp, clean concept of an all-white look,” she explains. “I have so many homeowners coming to me now to ask for these white baths to be torn out and replaced with a more varied color design,” she adds. If you’re guilty of going all-white but don’t want to tear out the whole room, there are ways to easily temper the look: Paint the walls, and add pops of color with bright towels, a bath mat, floral window valance, or sink skirt. 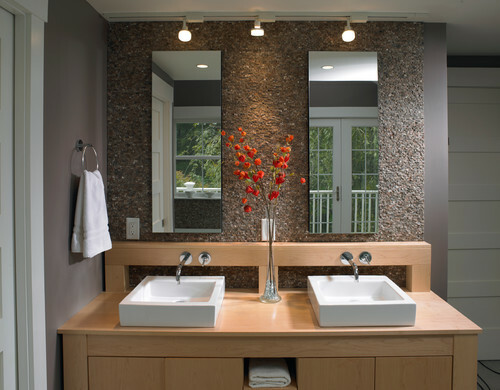 A sparse bathroom can be relaxing: No clutter! Clean lines! But if the look is too bare, you’ll end up with a space that simply doesn’t work for everyday life. Just ask design expert Jessica Filoso, of real estate company CLV Group, who’s seen her share of near-empty bathrooms. 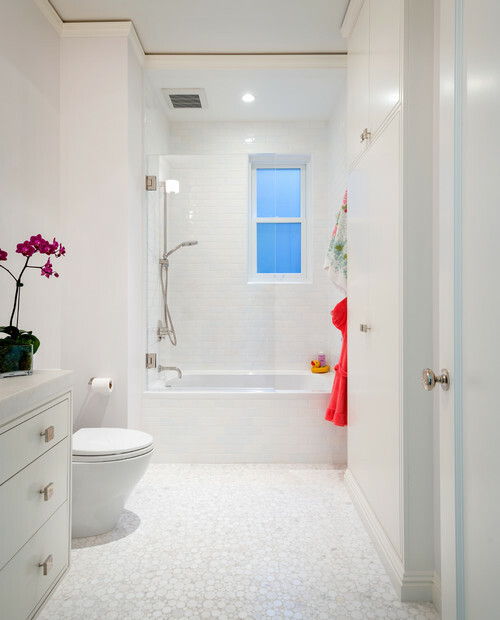 If your bath is on the empty side, keep buyers’ fears at bay by adding some more storage and personality. Étagères are a perfect spot for towels, toiletries, and tissue paper—and they’re chic and lightweight, too, so you can keep your minimalist theme. Need more pizzazz? Hang a colorful piece of art, add a textured hamper, or arrange a trio of potted palms or ferns in the corner. Mustard. Salmon. Avocado. In small doses, they’re nice hues (and delicious foods!). But they aren’t very welcome in today’s powder room. 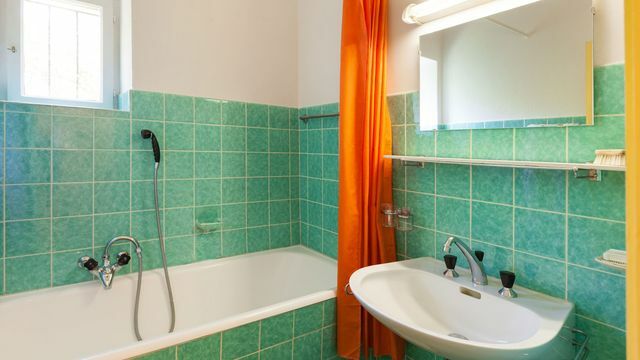 “Colors like these tend to be tacky-looking and make your bathroom feel like it’s stuck in the 1980s,” says Scott Allis with Miracle Method, a bath and kitchen refinishing company. 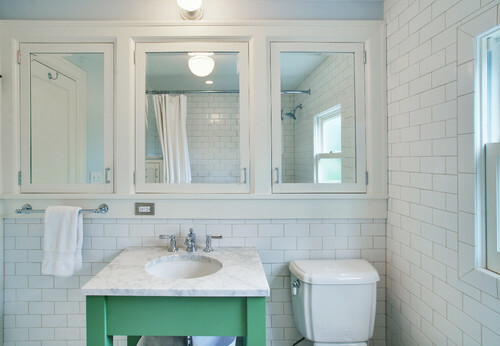 A retro look is a fine goal, but when it comes to selling the bathroom, it’s best to stick to a quiet palette—and balance the colors appropriately. The most appealing, modern look is a mix of three colors in a 70/20/10 distribution. “Use the neutral one most of the time (70% of the walls, floor, tile), a rich contrasting color for 20% of the look, and then an accent shade for the last 10%,” Heinemann explains. So you’re willing to shell out the dough to update your bathroom before you put your home on the market. Bravo! But when it comes to replacing your bathtub, we have a word of caution: Be realistic. You might have scoured dozens of design magazines and come to the conclusion that your bathroom won’t be luxurious unless you can soak in a big, beautiful piece of porcelain. But who really has the time? “This elaborate, oversize fixture is far from practical and actually has low resale value,” Heinemann says. Indeed, the appeal of bathtubs has declined in recent years. As long as there’s one bathtub in the house (for buyers with kids), there’s no need for more—or a big, ostentatious soaker. “Homeowners use these tubs once a month, tops,” Heinemann adds. Instead, put your money into a quality, high-efficiency, water-saving shower. His-and-her sinks seemed like a good idea for a while: She has a dedicated spot for hair and makeup, and he has a personal basin for his shaving and grooming. But after years of carving out space in master baths for two matching sinks, designers and home buyers are backing away from the trend. “Today most people wish they had more counter space, rather than that second sink,” Heinemann says. But don’t rip out your two-sink look unless you’re already planning a bathroom rehab. “Instead, add shelving near the sinks so there’s more storage,” Heinemann advises. This one might make you pause—home buyers are all about more storage, right? But these mirrored boxes aren’t the way to go about it, says Andrea Stanford, vice president of marketing and partnerships at the online estate sale marketplace Everything But The House. Yes, open shelving—which has been popular in kitchens for years—is making its way to the bathroom. “People have beautiful products nowadays, and they want them to be seen and accessible,” Stanford says. “A more modern storage trend now features plush stacks of towels, beautiful soaps displayed on a tray, and stand-alone vanities for perfume and makeup,” she adds. As for the stuff you don’t want people to see, add a couple of woven baskets with matching lids. There are some designers who will still install subway tile by default, but this ubiquitous design trend is starting to fade. 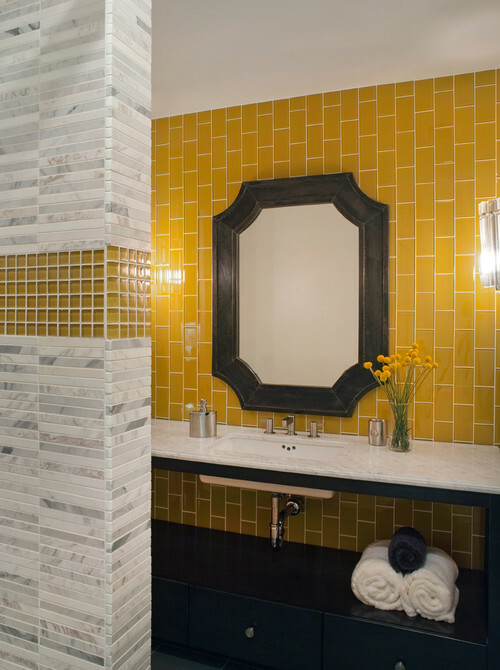 “Large-format tile is a good way to go, as are mini mosaics and geometric tiles,” says Nicole Rojas, a decorating guru with Tellus Design in Southern California. Similarly, when it comes to hardware and accents, cool finishes (nickel and chrome, for example) are taking a back seat to brushed gold and even black, Pila reports. 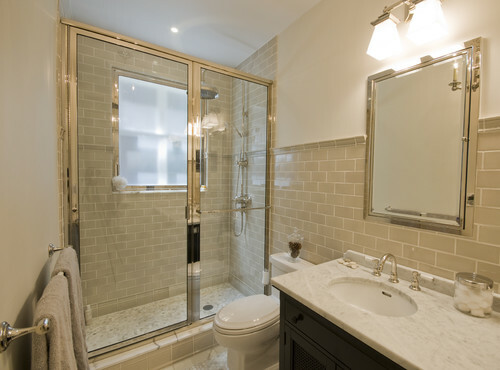 Luckily for you, hardware is quite easy and inexpensive to swap out, so you can give your bathroom a modern makeover in an afternoon’s time. Moving is tough, even when it goes well. But if something goes wrong? Well, it can go really, really wrong. As proof, check out these moving horror stories that can even happen to smart people—plus some hard lessons they learned—so you can keep them from happening to you. We’ve got you covered! Lesson learned: When moving, you’ll want to take special precautions with items you value, whether for financial or sentimental reasons. “Most carriers have a clause in their contract stating they will not be liable for damaged or missing personal items such as jewelry, passports, checkbooks, coins, stamps, and the like,” says Nancy Zafrani of New York City–based Oz Moving & Storage. To protect these things, “You may want to group together the items you are most concerned about and have those specifically inventoried—and then have the boxes sealed with tamper-evident seals. Upon delivery, make sure to inspect all items and document any missing or damaged items on the manifest before the movers leave,” she advises. Lesson learned: Always get a quote in person, rather than over the phone, so movers can eyeball your belongings. Your “three rooms of stuff” might be the same as six rooms for someone else. Also, opt for a flat rate over hourly so there are no surprises on moving day, says Adam Pittenger, CEO of Moved. Lesson learned: Disreputable movers may be rare, but never forget that you’re essentially entrusting your valuables to someone who could easily carry them off—pretty easily we might add. So, make sure to do a little due diligence by seeing, first of all, if any complaints have been filed by checking with the Better Business Bureau. For an interstate move, visit the U.S. Department of Transportation’s Protect Your Move site, which has a searchable database that shows if the company is registered, licensed, and insured and if any complaints have been filed. “If you collect this intel, chances are good that you are working with a quality moving company,” notes Pittenger. This makes it more likely the company will show up and do the job right. Lesson learned: Make sure the contract adequately reflects the expectations you’ve set for timing, but understand that in a long-distance move, your items may well arrive a few days behind schedule, says Pittenger—but not months, of course. But, you’ll want to play it safe and cover yourself for a few extra days. “Often long-distance moves are batched together, but the moving company should be transparent with the dates and details,” he says. Lesson learned: A lot of people try to save money during their move by doing it themselves, but they often just end up hurting themselves or their belongings. At the very least, before you start a DIY move, measure the biggest pieces, then measure the doorways, stairways, and the truck you’re planning to use to make sure everything will fit. Getting in over your head and having to call emergency help is going to cost more than paying for qualified helpers in the first place! ‘Flip or Flop Vegas’: Will Couple’s Cringeworthy Choice Actually Work? 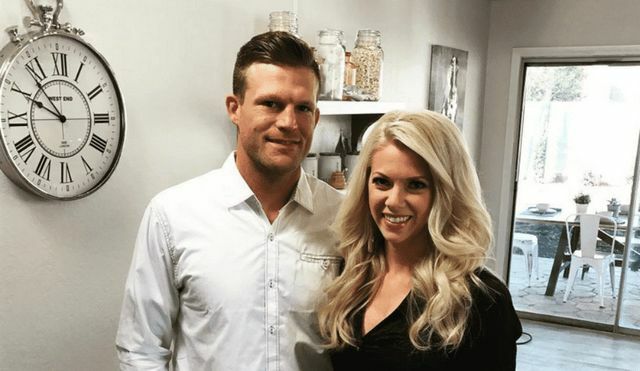 Aubrey and Bristol Marunde of “Flip or Flop Vegas” rarely play it safe when renovating a house. As proof, in the latest episode, “Go Bold or Go Home,” they choose a paint color combo that truly makes us cringe, initially. Granted, the 2,2000-square-foot property near Nellis Air Force Base they bought in a short sale needs work. Lots of work! Built in 1999, when the Southwestern craze was beginning to fade, the home has random split levels and Mayan-pyramid-type steps all over—even on top of room dividers and reaching to the ceiling. “My first thought is that we just entered an Aztec cave,” says Bristol. So Aubrey’s idea is to take the home back in time: to the ’80s. “People who buy our properties are looking for something a little bit bold, a little bit edgy,” she says. But are they eager to go ’80s edgy? Here’s how she tries to make it work. But since this is Vegas, she decides to take the major risk of using dark blue. Next, she goes even bolder by using metallic gold accents and hardware. You read that right: gold. Aubrey can’t decide on the right shade of blue—she doesn’t want it to be too bright, yet if it’s too dark, it’ll look black. She picks a navy shade and has Bristol paint one interior door to test the color. She thinks the result looks awesome, and decides to use it on the other interior doors, the kitchen cabinets, and the master bathroom vanity. Once you’ve made a choice, go all in! Aubrey is firm about her blue-and-gold retro ’80s theme, so when one of her suppliers tells her he has blue mirrors left over from a nightclub remodel, she is all over it. Where will they go? The kitchen, of course! This is not the Marundes’ first rodeo. They know that neighborhoods have all sorts of restrictions about landscaping and paint color. So they smartly check in with the powers that be—the homeowners association, or HOA—and find that only certain exterior colors are allowed. They decide to freshen up this house in the mostly desert-colored hood with a pre-approved gray, which makes a nice transition to the blue interior. Aubrey needs unfinished kitchen cabinets so she can paint them her beloved blue, but can’t find any that fit right, so she takes advantage of her handy husband. He builds not only the kitchen cabinets, but also a blue, space-saving barn door to go in front of the bathroom. By doing this, they save thousands of dollars, which helps them come in a full $6,000 under their $30,000 renovation budget. But will that be enough to make this very specialized flip fly? They decide to list it at $298,000, which is at the very top of the comps in the area. After only two weeks on the market, they accept an offer for $290,000. Their total investment is $234,000 and the closing costs are $12,000, which means they profit $44,000 on their big-time gamble. Only in Vegas! Do you feel emotionally ready to buy a home, but your lack of capital or credit history has resigned you to renting? There is a middle ground: a rent-to-own home. This arrangement is a godsend to renters who want to build equity in a home without surmounting the hurdles that come with buying a home outright. So how do you find such a dreamy scenario? Read on for the steps to take and pitfalls to avoid. Finding a property owner agreeable to a rent-to-own scenario might not be easy. “Probably about 5% of the market is transactions such as this,” says real estate agent RJ Avery, of Richardson, TX. And they tend to be in smaller cities or towns—transitional areas, where the real estate market isn’t very desirable or competitive. In short: You might have to search in areas that might not have everything you’d like, such as a good school district or great restaurants down the block. In those areas, a property owner might be eager to just go ahead and lock in a decent purchase price. 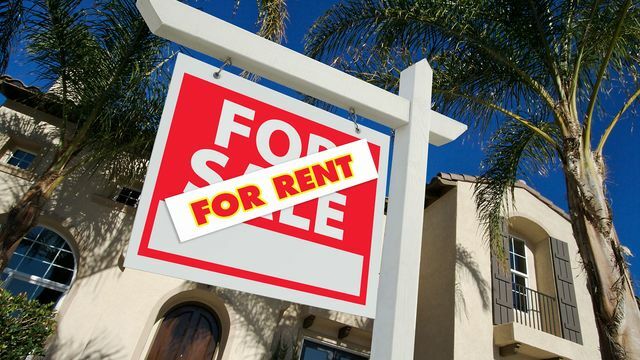 Your best bet are property owners who reluctantly backed into becoming landlords—in other words, they tried to sell the home, were unsuccessful, then began renting it out instead. Unlike landlords who own many properties and are committed to raking in rent dollars, these landlords by default often own just one single property, and might be gung-ho to get the property off their hands. Additionally, typical rent-to-own agreements specify that repairs and upgrades be made by the tenant (like most terms, of course, this is negotiable), an item that could also sway wavering sellers looking to minimize their obligations as landlords. There are actually two types of contracts: a lease-purchase and a lease-option. With a lease-purchase contract, you’re locked into buying the home by the conclusion of the contract. If you don’t, you will forfeit all the money you’ve supplied to the seller over those years and could also face legal action. If you choose this route, you should be absolutely clear on your long-term plans and financial outlook. Plenty can happen to your life and livelihood that could affect whether you can (and want to) own this house. A lease-option contract is less rigid. In this arrangement, you can choose whether or not to purchase the home by the contract’s end, and the landlord must honor it. This agreement gives you a choice to opt out of the purchase within the agreed-upon time frame, offering a bit more wiggle room if you’re uncertain you want to own the place. But even in this case, you might forfeit your deposit and equity, so it’s important to be sure that rent-to-own is the direction you really want to take. Is rent-to-own right for you? Only you and your potential seller can determine that for sure. If you are renting a property you love, need the time to build up credit and/or down payment, and have an amenable landlord, it might be the right choice. First things first: This contract must include the amount you plan to offer as your deposit. Bruce Ailion of Re/Max Town and Country in Atlanta reminds buyers to consider this number carefully before submitting an offer. Whatever contingencies are included in an offer, each comes with a clause indicating how many days a buyer or seller has to satisfy them. If buyers discover something they don’t like within that period, they can exit the contract without penalty, says Adriana Mollica, a real estate agent with Teles Properties in Beverly Hills, CA. If you want to buy a house but don’t have oodles of cash lying around, you’ll need to learn how to get a mortgage—that all-important home loan used to purchase property that you will then pay back for years or even decades to come. The vast majority of home buyers need a mortgage to achieve their dream of homeownership, but that doesn’t mean lenders just hand them out to everyone who asks. There’s a process, with requirements you’ll have to meet. So before you even set foot in a home, make sure you know the steps to secure financing. This step will also help you pinpoint any concerns lenders might have with your application, and give you time to fix these flaws so you’re in great shape to make an offer once your dream home does come along. Getting pre-approval is critical if you want your home-buying efforts to succeed. Why? Because a pre-approval letter from a lender shows home sellers that you’ve got the financial backup necessary to buy their home. Without it, sellers have no guarantee you can afford their place and, in many cases, won’t take you seriously. Don’t confuse pre-approval with pre-qualification, which is basically a conversation with a lender about your finances where you don’t need to provide any paperwork. After you’ve made an offer on a home and signed a sales contract, most lenders will want to check out what you’re buying with their money—and size it up for themselves with a home appraisal. 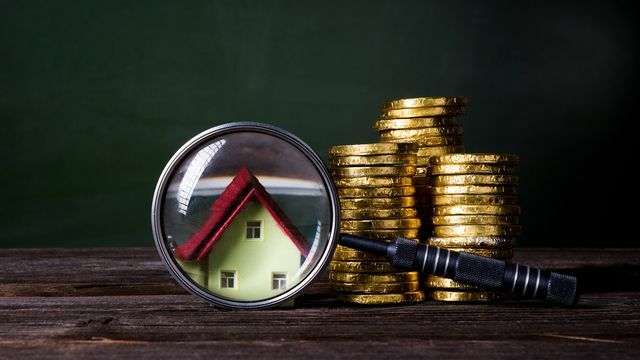 This means a home appraiser will assess the market value of the house using comparable homes, or comps, much like you and your real estate agent did when coming up with how much to offer on the home. Most times, the appraiser’s price will end up approximately the same as your own—in which case all is good, says Rick Phillips, an appraiser and real estate agent in Vienna, VA. And if the appraisal comes in higher than what you’re paying, you’re getting a good deal. For example, if you’re paying $700,000 for a home and the appraiser says it’s worth $710,000, you’ve instantly gained $10,000 in home equity. However, if the appraisal comes in lower than what you’ve agreed to pay for the home, that can be trouble, because lenders will loan you only as much money as the assessment says it’s worth. That means you’ll have to pay the difference—or persuade the seller to lower the sales price to what the lender thinks is fair. Another option is to challenge the appraisal by either filing an appeal or ordering a second appraisal. In most cases this all works out—and if it doesn’t, keep in mind your lender is essentially keeping you from overpaying for a dud. When you buy a home, you “take title” of the property—meaning you become the rightful owner. And your lender wants proof! As such, it’ll ask for a title search, which involves paying a title company to search public records for any heirs insisting the property is theirs, liens (from contractors who worked on the home but were never paid), or other problems. Hopefully all goes well, but in case not, this extra step could save you from a seriously scary situation where you’re fighting for ownership, or responsible for paying back old liens yourself. Once the title is cleared, you can close the deal. That’s where buyer, seller, a lender representative, and any others involved in this process meet to sign all the paperwork, transfer all money owed, pass along the keys, and move on with their lives! 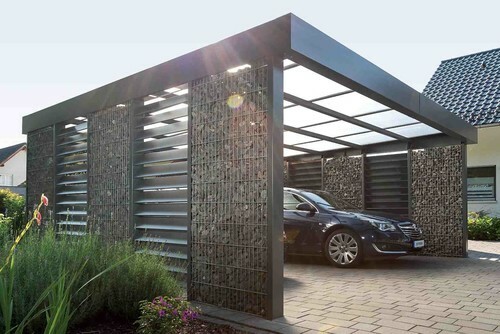 A carport may sound like a fancy British way to say “garage,” but it’s actually much more—or, to be accurate, much less. That’s because a carport, unlike a garage, is merely a covering to protect your car (or motorcycle or boat) from rain, sun, and snow. 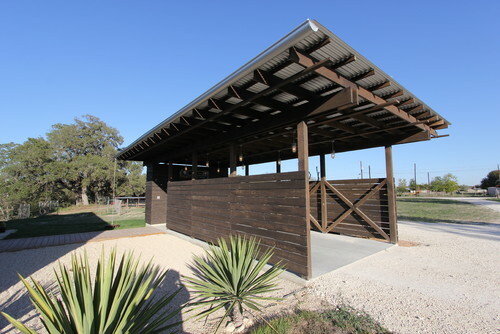 Open on three or four sides, carports provides shelter from the elements, but at a far lower price than a garage. 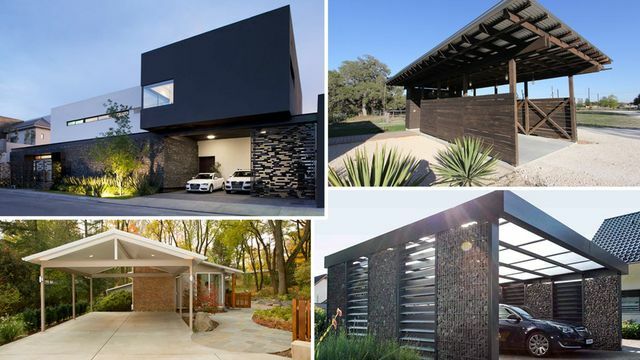 If that sounds up your alley (or driveway more like it), read on for a slew of carport ideas to get started. Carports are typically associated with condominium or apartment complexes, where residents just want a covered parking spot, says Steve Brant with Brant Regency Estates & Homes in San Diego. But they’re becoming an increasingly popular feature in single-family homes as well. For one thing, they’re inexpensive to build compared with a garage. For another, even if homeowners have a garage, it’s often stuffed to the rafters with everything but the car itself—sporting equipment, boxes of memorabilia and decorations, an extra fridge—or the space has been converted to a home gym, man cave, teen hangout, or other type of living space. All of which leaves your car outside, victim to the pounding rain and snow, the searing sun, not to mention a low-flying bird or two. And that’s where a carport can come in. Carports don’t only help keep your car in mint condition, they keep us humans comfortable, too. When precipitation hits, you don’t have to rush to your car in your driveway under an umbrella, or run the AC to cool down your car if it’s been baking in the sun. 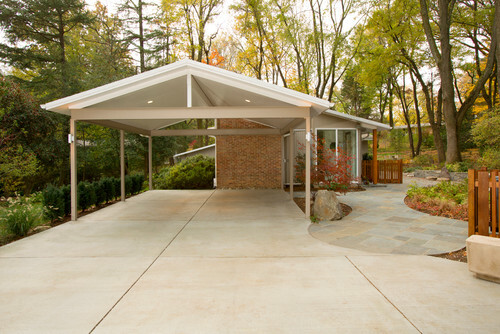 Carport vs garage: Which is better? The big downside of carports, however, is that your car will be protected only so much. It will still be exposed to dust, dirt, and damage, and security will be more of an issue. And unlike garages, carports don’t offer much storage space to speak of; you’ll have to stash that motor oil and toolkit somewhere else! All things being equal, it’s preferable to choose a home with a garage, whether attached or detached, Brant advises. “In addition to the obvious benefits of security and storage, garages offer significant resale implications,” he says, noting that a single-car garage can add approximately $10,000 in value over a property that lacks one. Still, if building a garage isn’t in your budget or this space is already busting at the seams, a carport is a great option to keep your car covered. Just be sure to check your HOA rules to see if carports are even allowed and what sorts of permits and limitations you may need to honor. Prefab carport kits can range in price from around $100 for a simple metal canopy that will provide some shade to over $2,000 for a sleek, modern-looking polycarbonate job designed to resist more extreme weather elements. Custom carports can be had in every look, from minimalist to luxury with prices to match. Carports typically come in three forms. The simplest is as a free-standing structure. Another option is to have it attached to the side of your house or garage. 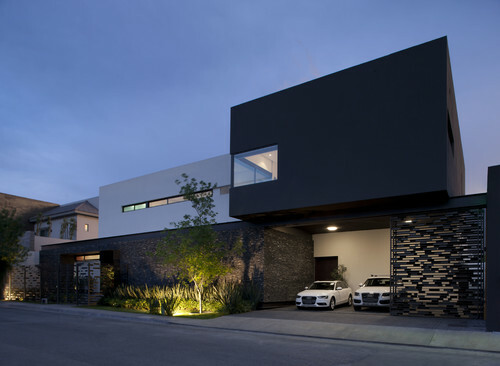 Carports can even be built into the structure of the house. 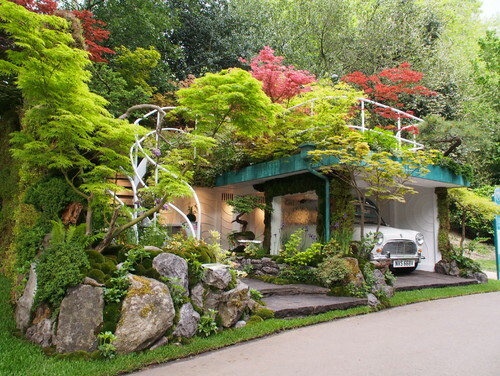 And just because a carport is less expensive than a garage doesn’t mean it can’t look amazing. To soften the look of a carport, consider planting flowers and shrubs around it (which offer added protection from the elements). If the roof of your carport is flat and sturdy enough, you can use it as a deck.